I still like to shoot with film (I use a Nikon F3) but I like the immediate feedback of digital. I'm thinking of buying a used DSLR to help me get the framing and lighting right when I shoot static subjects. Then I'd take the final shot with my F3. But would the metering be transferable? If the shot looks perfect at 1/125 with f/2 on a DSLR, will the same settings work on a film camera? Apparently no one has mentioned the reciprocity error (Schwarzschild effect) when measuring for film, and it's probably the only things OP should be concerned about. You see, the response of the digital sensors was designed from the film response in the 1/10000 - 1" range, which was applied lineally to the rest of the range. In digital, to get an extra stop you just multiply your exposure time by two, and that is true for any given range (the maximum most cameras work with is 30", but this rule applies for longer ones). The response is linear. As you can see, once you pass the 1 second mark, things get wild. If you measure something with your digital camera and decide that 10" is OK, it will be OK in digital. In fact it will probably look OK in any digital camera you get your hands on. If you try to take that photo on film with the same parameters, it will look... Well, very bad. If, for example, you are shooting Tri-X (Why would you shoot with any other thing? ), you need to add 2+1/3 stops to that time to get the same exposure. That is, 10"*2*2 (40 seconds) +1/3, which total around 50 seconds. You can see how different the times can be for not-so-long exposures. I'm not going to go through why this happens, you have plenty of info on that pretty much everywhere (Any serious book on film will cover it, I always recommend the Ansel Adams trilogy for anything film-related). The same thing happens when you shoot faster than 1/10000. The film does not behave in a linear manner and you should correct for this effect. Other than that, measuring for film is the same as measuring for digital, and you get the same effects modifying the same parameters (Depth of field, motion blur, etc), with the only exception that you get more grain instead of digital noise when pushing film or shooting with sensible emulsions. To a very good approximation: yes, assuming you've done the obvious and set your DSLR ISO to whatever film speed you're using. The definition of "ISO" is the same for film and for digital. ISO 200 (or whatever you're using) might not be exactly the same for the digital and film setups. I believe the ISO specification allows 1/6 stop leeway; however, this is probably good enough. For exposure, you don't actually care about f-stops, but about T-stops, which take into account how much light is transmitted through the glass elements in the lens. Unless you're using the same lens on both setups, there could be a small difference between the two lenses. However, this is unlikely to be significant unless you've got an oddball lens in one setup but not the other. Note that the above applies only for "regular" shutter speeds - if you go above around about 1s, then the Schwarzchild effect will start applying and you'll get a big divergence between the digital and film responses - see Achifaifa's excellent answer for a detailed explanation. Finally, a note on sensor sizes: if all you want from your DSLR is to act as a "super light meter" for your setup, then it doesn't matter what size sensor you use. However, if you want to check other aspects of the composition (depth of field, etc) then you'll need to be using a DSLR with the same size sensor as your film camera (i.e. full frame in your case - which will push your cost up significantly). If you are only looking for a "super light meter", then it's possible you don't need a DSLR at all and could get away with just a compact camera. Again, see jrista's answer (and the comments) for more details on this. So, absolutely you can do that. In some ways you're suggesting a similar approach to the old polaroid and medium format professional shooting. Basically, the photographer would take a polaroid shot to confirm light, shadows, and general scene before shooting with the big camera. It's always more expensive to get back to the darkroom and discover that you don't have what you need. Translate that forward and film has become more rare and more expensive to develop. The digital camera would provide the same instant feedback of information as polaroid used to do and even better, will give histograms and other scene information that polaroid couldn't do. The settings should be the same or very close, bearing in mind that the ISO setting on the digital camera is analogous to ISO on film, but not exactly the same. In other words, it could be a fraction of stop off. The gotcha? I suspect you may find yourself moving more and more to digital. You can do things at ISO levels that film just can't touch anymore. Yes, you can use a digital camera to take test shots in much the same way pros used Polaroid backs for many years. Just keep in mind that both film and digital have some leeway with regard to ISO. Many digital cameras can be 1/2 stop or more less sensitive than they claim for a particular ISO. One of the things DxO Mark tests is actual sensitivity for each full ISO stop. Here's a link for the Nikon D610 and Canon 6D (You'll need to click Measurements-->ISO Sensitivity to see the comparison). Different films also vary slightly from the exact ISO they are rated at. You might run into a case where both the film and digital vary by the same amount in the same direction and so they are both almost equally sensitive or you might find a combination where the film is more sensitive and the digital camera is less sensitive and wind up with differences that add to one another. And above about 1 second exposure times the Schwarzschild effect must be taken into account for film. This can very significantly impact exposure times, and it varies by the specific film in question. You can indeed use a DSLR to help improve your film photography skills. At the very least, you can use the DSLR to meter, and determine what your exposure settings and ISO need to be, assuming you use an identical lens. It should be noted that if you use a film SLR, it is probably 35mm format. Most DSLR cameras these days are APS-C, or cropped frame. Instead of being 36x24mm, the sensor of a cropped sensor is around 23x15mm. Cropped frame DSLRs are cheaper, and often below the $1000 mark, but they probably won't help you the way you would need. The key difference is framing, motion blur and depth of field. To produce an identical image on APS-C as on FF, you must reduce the focal length to counteract the crop factor, and use a wider aperture to achieve the same depth of field. This necessitates a reduction in ISO, because you cannot change shutter seed as that could result in different subject blur. This also assumes that you have the option of using the appropriate focal length on either the FF or APS-C in order to achieve the desired results. If you are using an APS-C DSLR to teach you how to expose properly, with a 135mm lens, you would need a 200mm lens on your FF SLR to get the same framing. This either necessitaes having a very broad range of lenses to support your goals, ensuring you have the necessary focal lengths on both APS-C and FF, and be willing to swap lenses when necessary...or requires a FF DSLR and simply swapping the same lens between it and the film SLR. 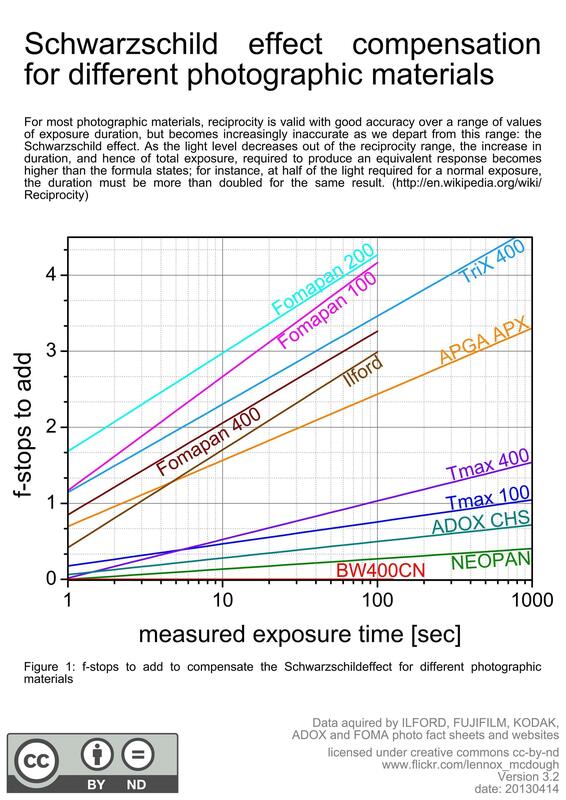 It is certainly possible to convert exposure settings between FF and APS-C, however since your goal is to use a DSLR to help you learn how to use a 35mm film SLR, the best tool for the job would be a FF DSLR rather than an APS-C (cropped) DSLR. I think DSLR does work as well as an independent light meter. I just check my Df(center-weighted mode) against an Minolta x-570. The results are the same. Df says 1/25 and X-570 says between 1/15-1/30s under same iso, same f-stop at the same scene. i believe you can use apsc camera as well. Sensor size shouldn't bother as experience suggested. The only thing I found unaccountable is smartphone apps. They are 2-3 stops underexposed. I have to find out if I missed something. The chart above in the most "liked" post (which is nice) only tells that you need to know your equipment (as well as your film). A meter won't know what film you use. Tuition is to be paid I suppose. There is always a learning curve. Note: This answer was originally written to answer another similar question. All of the information in the answer is also directly applicable to this one. Even in theory there are differences in the way digital sensors and films record light that makes ISO values only approximate. But these differences are usually fairly subtle and theoretically exposure should be more or less equal if you use the same ISO, aperture, and shutter time. For more about this, please see: Why are these film photos brighter than digital photos taken at the same time with the same settings? In practice there are even greater differences that may affect each of these basic components of exposure. ISO: Since digital sensors have a linear response to varying brightness levels of light and film has a more logarithmic response, comparing an ISO value for a particular digital sensor and an ISO value of a particular film is only approximate. This value is usually closest in the mid-tones but will vary more in the highlights and shadows. Compound that with cameras that actually use different ISO values internally than they are labeled in the settings. They usually do this specifically to preserve highlight detail in the raw image data collected. So digital cameras tend to have their actual ISO sensitivity for a particular setting rounded up. On the other hand, film manufacturers tend to round the sensitivity of their films down to the next nearest "standard" value. With exposures for film longer than about 1 second the Schwarzschild effect, sometimes referred to as reciprocity failure, must be taken into account. The sensitivity of films at longer exposure times is not linear. This must usually be taken into account when exposing film for longer than one second. This can very significantly impact exposure times, and it varies by the specific film in question. The manufacturer of your film should be able to provide information regarding how much compensation is needed for longer exposures. Aperture (Av): Different lenses labeled with the same aperture value may not be equally bright. This is partly due to differences in transmission loss through the various elements of each lens. But at maximum aperture it is also due to the values of each lens being rounded to the nearest or (usually) next wider standard f-number. The differences due to transmission loss are carried across the entire range of aperture settings. The differences between stated and actual aperture when wide open tend to be reflected in successive apertures settings as well in order to preserve the differences in stops between the maximum aperture setting and the others. Sometimes the further one moves from the maximum aperture the more "honest" the actual f-number is with regard to the actual diameter of the entrance pupil relative to the lens' focal length. By the way, focal lengths are also approximated and rounded to the nearest "standard" number in the most favorable direction! Here are the actual transmission measurements for three different Canon "L" lenses with an "f/4" maximum aperture. Even when using each of the respective lenses on the same camera, the exposure values would need to be adjusted slightly to give the same brightness of exposure. The EF 24-70mm f/4 is essentially an "honest" f/4 lens throughout its zoom range. The EF 17-40mm f/4 is one-third stop slower at about f/4.4 and the EF 24-105mm f/4 is two-thirds stops slower at around f/5.1. 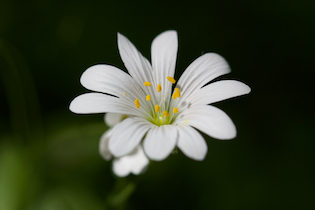 Shutter Time (Tv): Like the other two basic components of exposure, shutter times are only approximate. Even the numbers we assign to them are rounded to easy to use values. Of ISO, Av, and Tv, the latter is usually most consistent across digital and film platforms if the camera has an electrically controlled physical shutter or a purely electronic shutter. If the film camera has a mechanically controlled focal plane shutter or iris shutter, all bets are off. Not the answer you're looking for? Browse other questions tagged dslr metering slr digital-vs-film or ask your own question. Is there a sane reason why ¹⁄₁₂₅ is not, instead, exactly half of ¹⁄₆₀? What is T-number / T-stop? 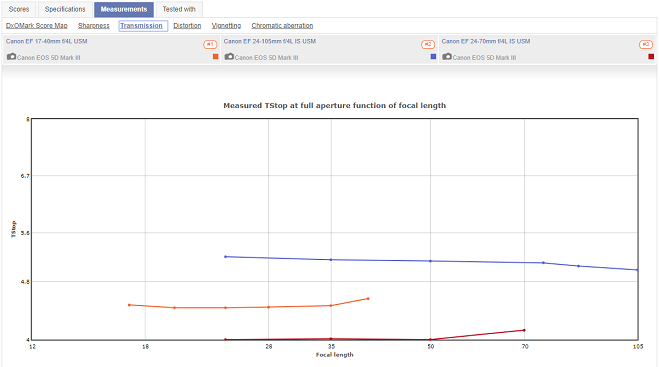 Why don't comparisons of aperture take sensor size into account? How can I achieve a soft but detailed film look digitally?